Chinese handset maker, Vivo is getting competitive with every passing day in India. 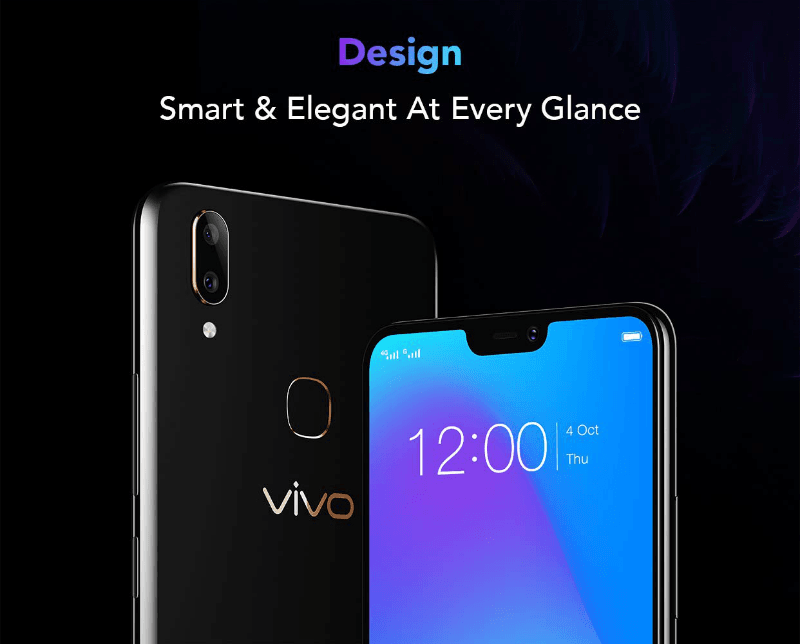 After launching the Vivo V11 Pro with in-display scanner, Snapdragon 660 SoC at Rs 25,990, the BBK Electronics-owned company has now launched the Vivo V9 Pro with the same Snapdragon 660 chipset, clubbed with 6GB of RAM. Notably, the Vivo V9 Pro comes as a successor to the Vivo V9 that was launched back in March this year. The V9 Pro is a major upgrade over the Vivo V9 in terms of hardware, but design wise, it remains pretty much identical to the V9. Having said that, Vivo launched the V9 Pro at a competitive price of Rs 17,990 which will put the device right against the Xiaomi Mi A2 which also has the same chipset. The Vivo V9 Pro is a mid-range smartphone and is one of the affordably priced handsets from Vivo in recent times. The Vivo V9 Pro flaunts a 6.3-inch Full HD+ display with a notch on top and 19:9 aspect ratio. The display offers a resolution of 2280 x 1080 pixels. Vivo is calling the screen on Vivo V9 Pro as Full View display. Under the hood, the V9 Pro has the Qualcomm Snapdragon 660 chipset, clubbed with 6GB of RAM and 64GB of internal storage. It’s good to see Vivo offering 6GB of RAM with the V9 Pro, something which we haven’t seen Xiaomi with the Mi A2. The phone also has a dedicated microSD card slot for storage expansion up to 256GB. Notably, the Mi A2 lacks a microSD card slot and a 3.5mm headphone back. Cameras on the Vivo V9 Pro rocks dual cameras on the back- a 13MP primary shooter with f/2.2 aperture is paired with a 2MP secondary depth sensor. That said, the Vivo V9 Pro doesn’t even come close to Xiaomi Mi A2 in terms of camera performance. On the front side, the phone has a 16MP shooter with f/2.2 aperture. This dual-SIM smartphone comes laden with Android 8.1 Oreo-based Funtouch OS 4.0. As for the connectivity options, the phone has Dual 4G, VoLTE, Wi-Fi 802.11 b/g/n/ac, Bluetooth 4.2, GPS and a Micro USB port. The phone is armed with a 3260mAh battery and lacks fast charging support. It measures 154.81 x 75.03 x 7.89 mm and weighs 150 grams. Moving onto the pricing, the V9 Pro can be picked up in a single Black colour option for Rs 17,990. For selling the V9 Pro, the company has partnered with Amazon India. 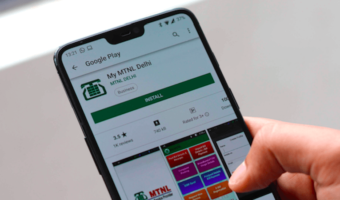 The phone may be available via offline stores as well. Going by the pricing and hardware of the V9 Pro, it goes against the likes of Xiaomi Mi A2 and the upcoming Realme 2 Pro. The Mi A2 sports a 5.99-inch Full HD+ display, Qualcomm Snapdragon 660 processor, 4GB of RAM, 64GB of internal storage, 12MP+20MP dual rear cameras, 20MP front-facing camera, stock Android 8.1 Oreo and a 3000mAh battery. The Mi A2 is retailing at Rs 16,999. 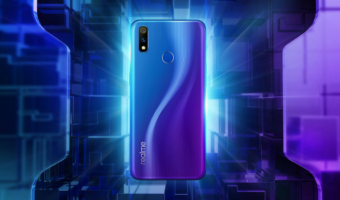 Talking about the Realme 2 Pro, it will have a 6.26-inch Full HD+ display with waterdrop notch, downgraded version of Snapdragon 660 SoC, up to 8GB of RAM & 128GB of internal storage and likely to have a big battery. The Realme 2 Pro will likely to retail at a starting price of Rs 14,999. Google Pixel 2 XL Priced Dropped to Rs 45,499 in India: Should You Buy It? Very good year for smartphone buyers. I hope Nokia 7.1 and Nokia 7.1 pricef aggresively in Indian market. My wild guess realme2pro starts from 11999. If with USB C port then it kills new Moto one power. Still Android one, USB C, 5000mah makes Moto one power still a good deal.. poco F1 is now budget flagship. COLOR OS is $ man. It is worse than FunTouch OS. Only good thing is that they are launching it with Snapdragon 660 and big battery. Why are you blindly cricisizing colour os . What about custom ROM on it?? Oppo phones usually have locked bootloaders and I don’t think this has changed for realme. I don’t think they will have custom roms. Maximum expect Android P on it. Don’t expect much from Color OS. You can buy Redmi Note 5 Pro/Asus Zenfone Max Pro M1/Moto One Power for custom roms. Nokia 6.1 Plus and Nokia 5.1 Plus are equally good devices. That will all the sales of Redmi Note 5 Pro in future. What do you think of Redmi Note 6 Pro? Snapdragon 660/710/670?